How to create reports and dashboards using the GinzaMetrics API? Thousands of marketing strategists, search teams, content creators, and agencies rely on the power of GinzaMetrics daily to improve brand “findability”. So, naturally, we integrated the GinzaMetrics reporting API into DashThis. Before connecting Ginzametrics to DashThis, you need to request an access to their API. Please contact Ginzametrics support and ask for an API key. 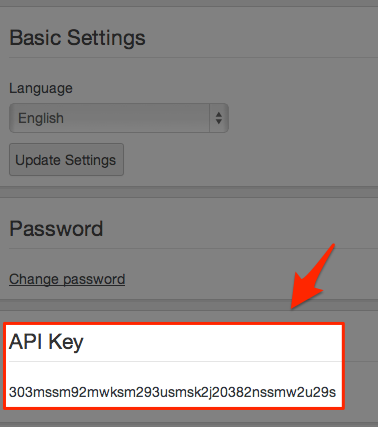 Once you’ve been granted access, you find the API Key in your Ginzametrics account. 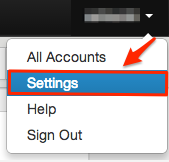 1 – Sign in to Ginzametrics, and select Settings in the User menu. Connecting Ginzametrics to DashThis requires 2 quick steps. 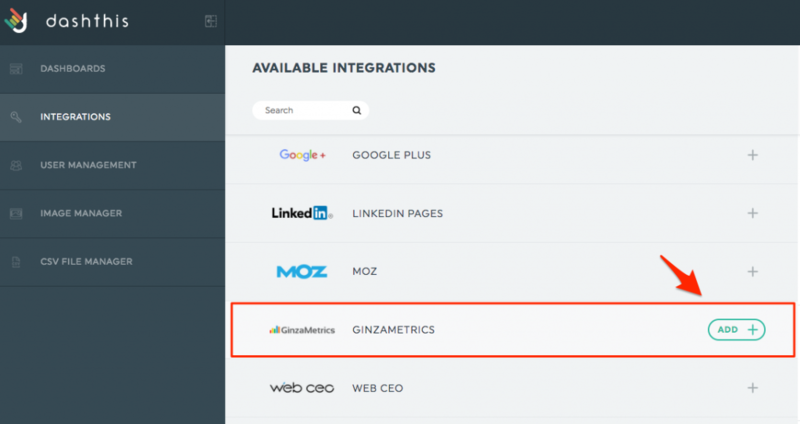 1 – In the Integration Manager, choose Ginzametrics and click on Add. 2 – A window appears on the right-hand side of the screen. Enter the name you want to give to your data source and the API Key. Any questions? Contact our support team is always there for you! This entry was posted in Integrations and tagged ginzametrics, Managing Integration. How to create custom dashboards using the Adwords Reporting API?